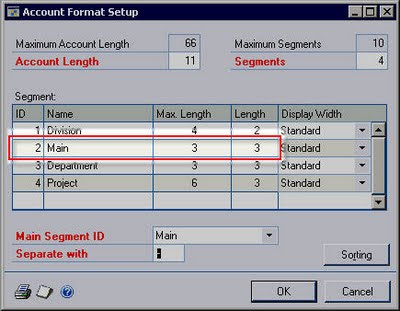 Currently, the Main segment is the first segment of the account, which has a Max Length of 4 characters. However, we want to make the first segment the Division code and the second segment the Main segment. Note that the Max Length in the second segment is 3, and we need 4 characters for the Main segment. 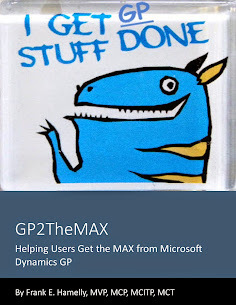 The Max Length is set during account framework setup and can't be changed without using either the PSTL Account Modifier or Corporate Renaissance Group's Reformatter, neither of which comes free. Making the Max Length in each segment longer during initial framework setup would have prevented this. It would have just been a matter of setting the segment length to the desired values.